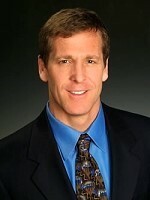 Local real estate expert Andy Heller will be our special guest on Tuesday’s Webcast. Andy will be discussing the launch of RealtyJoin 2.0, the new and improved Social Networking Site for Real Estate Investors, Agents, Brokers and Tradespeople. It’s a site specifically designed for real estate investors matchmaking, and will help you make more MONEY. Register for the Webcast Now! Andy will also be our guest speaker at the Atlanta REIA Main Monthly Meeting on April 4th, 2011 at the W Hotel Atlanta Perimeter. Some of the leading real estate gurus in the country have teamed up with a group of top software developers and Web designers in Silicon Valley and formed RealtyJoin, a social networking site for the real estate industry. RealtyJoin will make it easier for you to find great deals, opportunities, and vendors, and make more money – and membership is free! RealtyJoin is designed to help you connect with new clients and develop new business opportunities. Think of RealtyJoin as a marketplace for real estate investors, agents, contractors, architects, and other companies that provide goods and services to the real estate industry. How do you fit into the real estate industry? RealtyJoin IS NOT a niche site designed for just networking and information. It’s a site specifically designed for REAL ESTATE INVESTOR MATCHMAKING, and will help you make more MONEY. All you need to do is register, create a profile, and start joining groups, and you will immediately learn about great people and business opportunities.